I am a high believer in merit. We should all get rewarded for all the wonderful things we do. This past year I have most certainly felt that warm, compassionate feeling of a job well done through the many events (GenYTO) and others (TwestivalTO, HoHoTO…) with all the money we raised for charity. The best part of all this are the friends I made and the support (And mulla) we raised for local charities. And boy-oh-boy did we get some pretty friggen cool shut-outs! 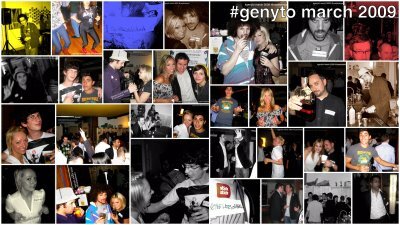 So cool that tweeps in Ottawa started #GenYOTT, a sister group of #GenYTO. And, the lovely Casie Stewart mentioned moi in TechVibes as “a really smart girl with a great attitude, not to mention beautiful.” – Casie Stewart. Umm…Cool!!! I don’t usually pat myself on the back, or think overly highly of my accomplishments, but I can confidently say that 2009 was a fan-diddly-astic year. THANKS FOR THE SHOUT OUTS PEEPS! Entry filed under: Entrepreneur stories, social media, Social media for small business, twitter.